North Avenue Park is located in Atlanta’s Old Fourth Ward Neighborhood across from City Hall East on North Avenue. The site is a primarily passive park of approximately 40 acres, with lakes, open meadows and a system of multi-use trails. 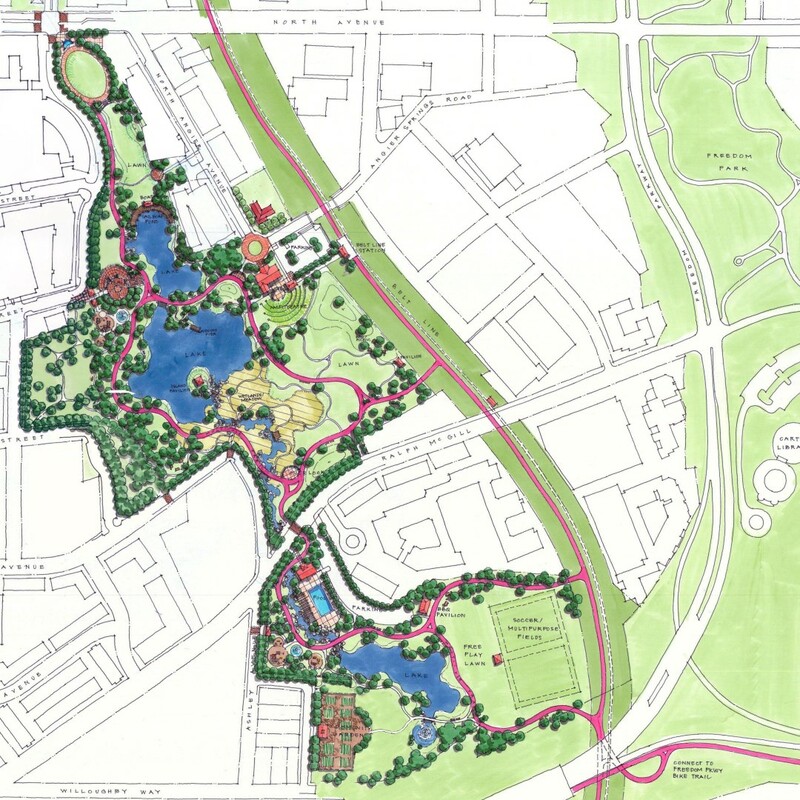 In an area that has long been an underutilized industrial wasteland that afflicts and divides, the park establishes environmental and community amenities that connect and enhance neighborhoods. 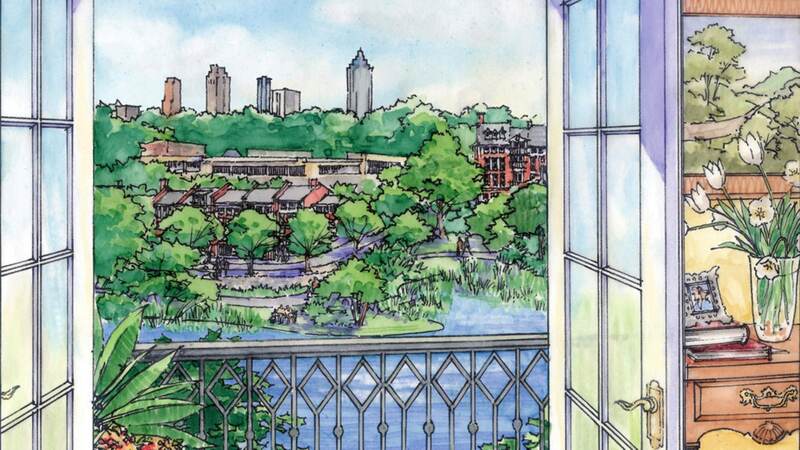 North Avenue Park links the Old Fourth Ward with Freedom Park and the Freedom Park trails on its southern edge, the BeltLine and Poncey-Highland neighborhood on its eastern edge, and City Hall East on its northern edge. In addition to providing the neighborhood with much needed greenspace, North Avenue Park is serving as a catalyst for sustainable urban, primarily residential mid-rise development encircling the park. 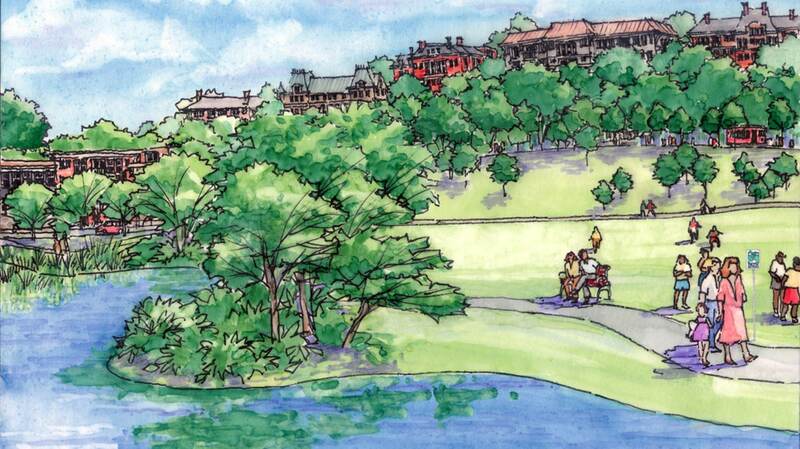 The lakes, located along the low point of the Clear Creek Basin, serve as stormwater detention and water quality role for the new development. 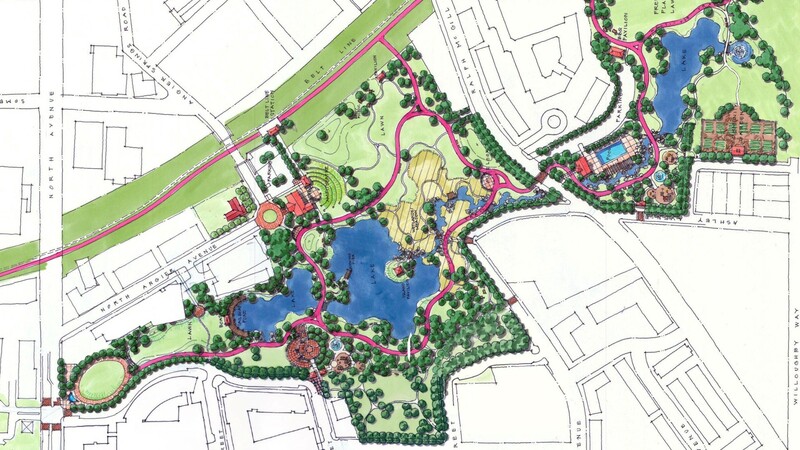 A park drive along the park’s western boundary provides accessibility to the park from the Old Forth Ward and visibility into the park from adjacent new development.